Among MedicareMall’s trusted partners in providing the best in senior health plans to our clients is HealthPerx Plus, which offers great dental plans starting at $14. HealthPerx Plus is committed to making it easy for you and others to compare and purchase affordable dental coverage. Committed to meeting the highest standard of customer service, HealthPerx Plus makes it easy to compare plans. Apply online today in a few short minutes. Dental plans from HealthPerx Plus start at $14 per month and it is available in all 50 states. HealthPerx Plus’s handy navigation guide can provide all the information you need. Simply find a dental plan you like and click “Apply,” and within minutes your application will be submitted. *Seniors need to be aware that Medicare provides benefits only for medically-necessary aspects of senior health. 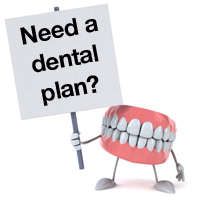 As a result, senior dental plans are not covered by Medicare Part A, Medicare Part B, Medicare Advantage, or Medigap plans. A good dental plan is a necessity for anyone who doesn’t want to get hit by exorbitant out-of-pocket costs for dental care. Dental plans, depending on the plan, can provide excellent discount benefits for such procedures and necessities as root canals, dentures, crowns and crown repair, periodontics, cleanings, fillings, and more. It’s sad that so many seniors go without the dental coverage they need. Some avoid dental care altogether because of the prohibitive cost of some treatments when payments come out of pocket. The fact is, finding a senior dental plan that fits your budget can save you a lot of money in the long run. Dental care is essential to seniors, and we all know a good, healthy smile still goes a long way. Finding an affordable dental plan can be difficult, HealthPerx Plus is a great tool to use, and MedicareMall’s experts are ready to go over all the senior dental care options with you, help find you the dental plan you’ll most benefit from, and see you through the enrollment process. Contact HealthPerx Plus and they’ll help you keep that winning smile for many years to come. HealthPerxPlus is not insurance nor is it intended to replace insurance. This discount card program contains a 30 day cancellation period. This plan provides discounts at certain healthcare providers for medical and health services. The plan member is obligated to pay for all healthcare services but will receive a discount from those healthcare providers who have contracted with the discount plan organization.